The S50 range, made by Vitra, truly does live up to the Vitra name as being one of the world leaders in bathroom design. The range encompasses everything that is contemporary, with its bold, vibrant, up to the minute design; it will, without a doubt, bring your bathroom to life. 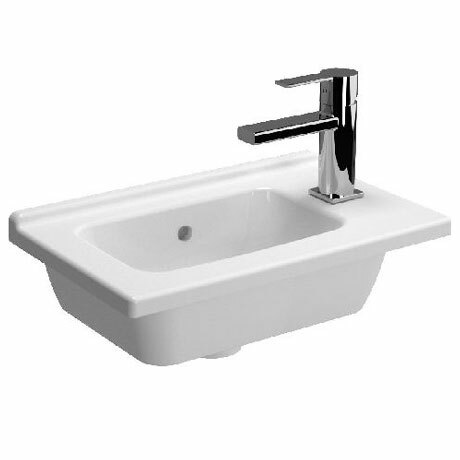 This modern rectangular ceramic inset vanity basin is designed to be sunken into a worktop or counter. The basin has single tap hole positioned on the right and has a slight raised lip running along the back of the basin. Available in two sizes. Please note - All taps and wastes pictured are for display purpose only, all accessories/taps are sold separately.